Do you know the name, John Dickinson? It’s likely that you do not, unless you are an American History wonk or if you had some reason to really study the Declaration of Independence and/or the US Constitutional Convention. For an added impression, he also wrote the original draft of the 1st Amendment, protecting speech, religion, and press. In short, John Dickinson was an American Patriot. A Founder and a Framer. One of the few in that category. And yet, he believed that his life was to be for not when he refused to sign the Declaration of Independence. He believed and argued that the issue was with Parliament, and not with the British Constitution. 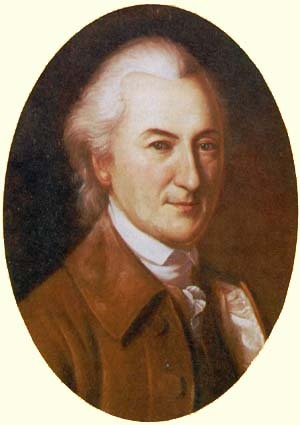 He believed that the King would side with the Colonials and recommended the first use of the “Commonwealth” type government through his introduction – in 1776 – of the Articles of Confederation. He abhorred violence and wanted no part of war. But when the Declaration was signed, he resigned his position in Congress and was appointed as a Brigadier General in the Pennsylvania Militia. When asked to resign over doubts about his position on Independence, he did so and then enlisted as a Private in the Delaware Militia. Here is a man who disagreed with the Continental Congress – and coincidentally me. And as it turned out in history, he was wrong. When Dickinson himself learned that our beef was with the King of England, backed by a corrupt Parliament bought and paid for by the King, he didn’t blame somebody else, didn’t make excuses. He served his country. In any capacity that would allow him to do so. The lesson here is twofold: First – an honest disagreement is not a reason for a dislike. Any person (the word Dickinson himself would use) who disagrees honestly is just a valuable to me as anyone who would agree with me. Like most men, John Dickinson was right at times and wrong at times. What set him apart was that he had no problem admitting it. It is said that history repeats itself. Santayana added that those who fail to remember the past are condemned to repeat it. So it is without surprise that we turn to seven men and women who sit as a legislative body before the people and in the name of Modesto. Seven people who, like Parliament of 1776, are entirely owned by outside interests and not responsive to the will of the governed. Seven people who by various votes and words and explanations too numerous to count have declared that they “own” that which belongs to others. They deign to “return,” to “give back” that which was never theirs – except by their own decree – that which they had no right to take in the first place. And in doing so expect praise and adoration for what they have done. While at the same time, they keep the rest of what they have declared to be theirs. They elucidate the purpose of the taking by proclaiming the seizure is in the name and the purposes of the People of Modesto. Even as those very people have loudly and passionately declared that this was not to be done. And so we are forced to confront a simple question, much as the Founder and Framer John Dickinson asked two-hundred and forty years ago – do we ourselves have property? Or, are we ourselves a property to be used as those in power see fit? Council members have made their position clear. They are our “boss,” they are more intelligent than we, and they know better than we, our desires, needs and even wants. In 1774, the world was beginning to change as more and more realized that such government was tyranny. Today the breeze of discontent becomes a gale – a mighty wind which blows across this city and this community. It is a wind for change and for accountability. For if we ourselves do not see that the rulers mean to rule, today they will take what is not theirs in Wood Colony. What will they take tomorrow? And if they can take as they see pleases their eyes, we have indeed become ourselves, nothing but – their property. Posted on March 26, 2014, in News & Notes and tagged American History, Constitution, Declaration of Independence, Modesto City Council, Property rights. Bookmark the permalink. Leave a comment.